We could not do what we do without volunteers! If you are interested in helping us, please see the list below, then send us an email via Contact Us. Help out on the days of our Donation Drives (various duties). Deliver to clients or agencies. Help move furniture. Volunteer your truck and/or trailer. 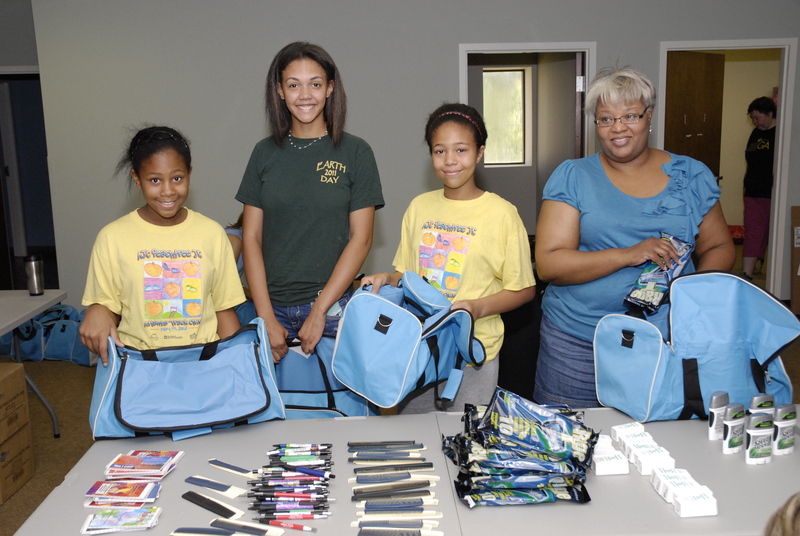 Assemble the duffel bags with toiletries (Comfort Kits). Help maintain our social media presence (i.e., website, Facebook, Twitter, etc.). Research where we can buy items inexpensively and/or identify companies that will donate items to us. This includes sleeping bags, tents, tarps, long underwear, full-size toiletries, duffel bags, birthday wrapping paper and other items. Visit local stores to let them know of our missions in case they have anything they will sell to us at a discount. Or if they have items they take out of stock and can donate. Some stores, such as Walmart, give out grants and/or gift cards; we need to know when they take requests and the required format. Organize a drive for the items we collect with your company, neighborhood, church or any organization in which you are involved. Contribute to our development and PR committee by helping us refine new approaches to fundraising, sponsorships, advertising, etc. Chair, co-chair or be on the committee of a fundraising event. My Birthday Matters. Help us recognize disadvantaged children on their birthdays! We need volunteers to assist us as we coordinate fundraising events, coordinating and customizing each child’s birthday presents, and delivering presents for this program. In addition, you could help by buying kids presents from their wish lists, or purchasing and donating simple necessities such as underwear, clothes and school supplies. Simple Household Needs. You or your company/organization can help by completing tasks such as picking up cleaning-supply orders, putting family care packages together or driving them for delivery. Simply Sheltered and Comfort Kits. You or your company/organization can support our Comfort Kits and Simply Sheltered programs by purchasing or sorting supplies, taking inventory, stuffing duffel bags, loading tents or duffel bags onto trucks, driving items to delivery at a homeless shelter or storage facility, and more. Contact Us to learn more about volunteer opportunities with SNGA.